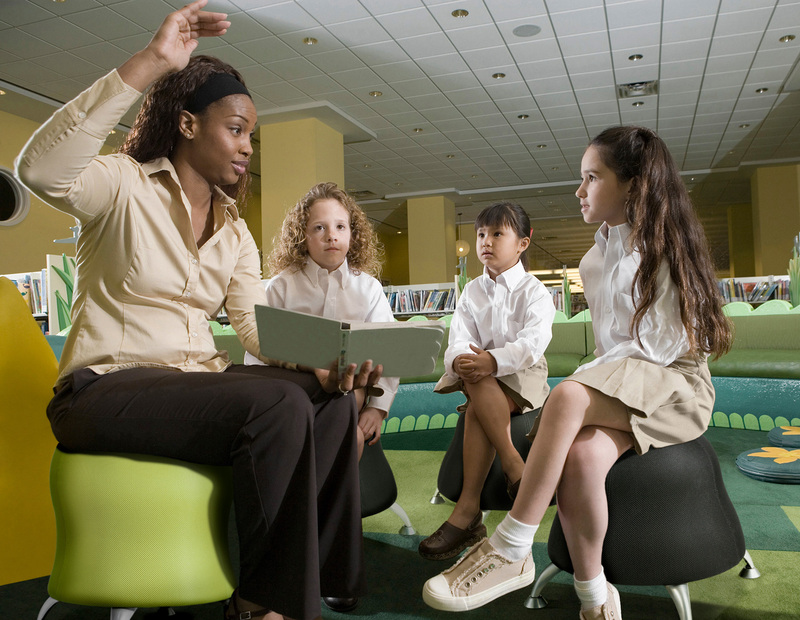 Fidgeting and Flexible Seating — What’s All the Fuss? Home / Blog / Fidgeting and Flexible Seating — What’s All the Fuss? Learning goes beyond curriculum materials to include the physical environment we provide for students during the school day. Student behavior, health and wellness, and even academic achievement are all affected by the physical environment students are working in. In traditional learning environments, children can spend anywhere from 50–70% of their time sitting down (often in hard plastic chairs). These conventional seating arrangements can lead to negative health effects. Fortunately, these consequences can be curbed. 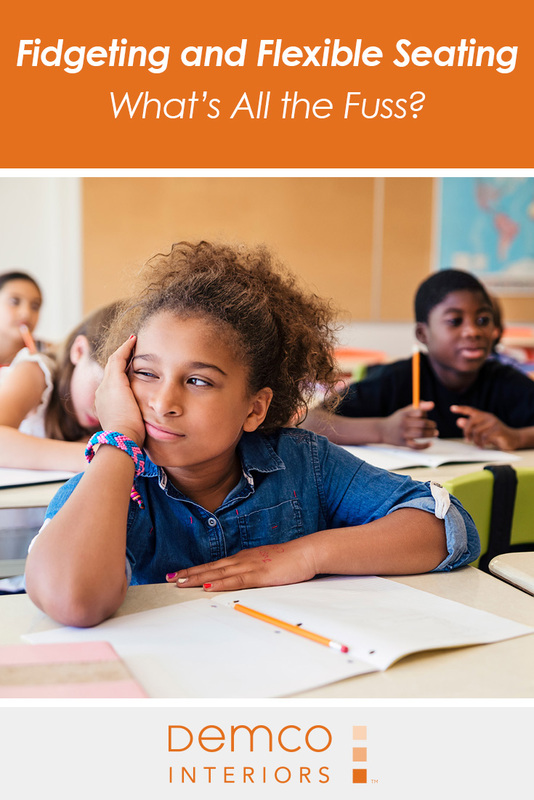 By creating Activity Permissive Learning Environments (APLE) that feature flexible seating and encourage movement, educators can boost not only student health, but also academic achievement. You’ve probably heard the saying “sitting is the new smoking.” That’s because research has shown a very close correlation between inactivity and mortality. Over the past 200 years, along with our energy expenditure going down dramatically, our calorie intake has been steadily rising. The health effects of these lifestyle changes can be dangerous and include an increased curvature of the spine and an increase in obesity and related diseases. 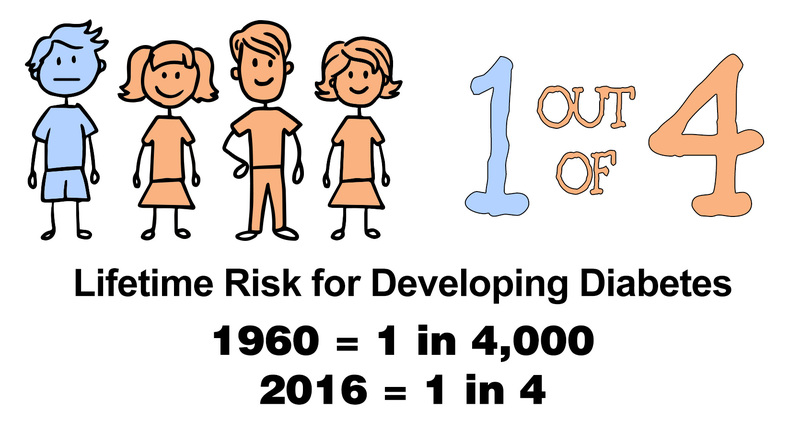 For example, in 1960 the risk of a child developing diabetes in his lifetime was only 1 in 4,000—by 2016, the risk rose dramatically to 1 in 4! The effects go beyond our physiques, with inactivity affecting our moods and our ability to think as well. When we look at brain scans of a person who has been sitting quietly for 20 minutes compared to someone who has just taken a 20-minute walk, it’s very clear that there is significantly more blood flow in the active subject. 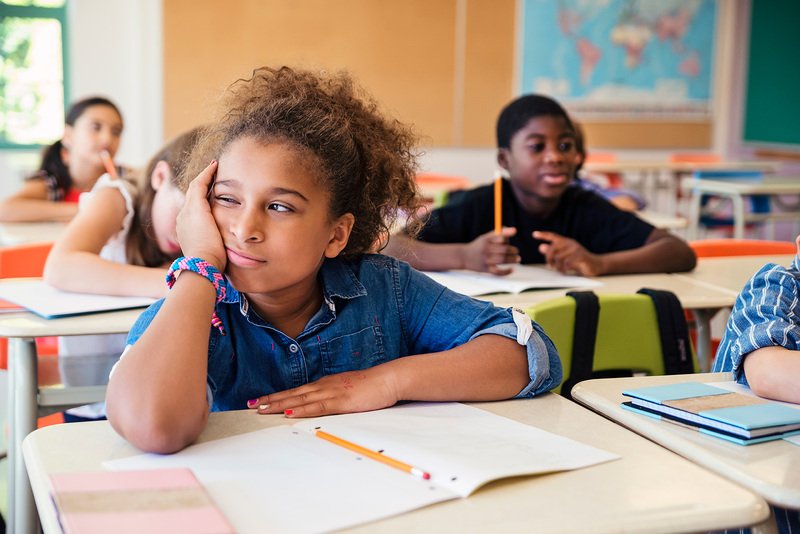 Without this blood flow, we slow our cognitive abilities, limit our creativity, and we are left sleepy and sluggish — all factors that limit a student’s ability to succeed in school. Humans are not made to sit, stand or move all day. Ergonomists recommend a balance between the three. This is called the 20-8-2 Rule, which is defined as 20 minutes of sitting, leaning or perching; 8 minutes of standing; and 2 minutes of whole body movement. Now we all know those kids who just can’t seem to sit still (and how can we expect them to?). But did you know that this fidgeting is actually healthy for them (and you)? When you stop moving after you eat, your whole body shuts down. When you’re doing low-intensity physical activity, such as fidgeting, your body uses up fat cells. What else does fidgeting do for your body? It actually helps you focus better. For children who are ADHD, this type of movement is essential for helping them gain self-regulation. Flexible room layouts can help address this need. They allow students to get up and move throughout the day while also providing collaborative work spaces. 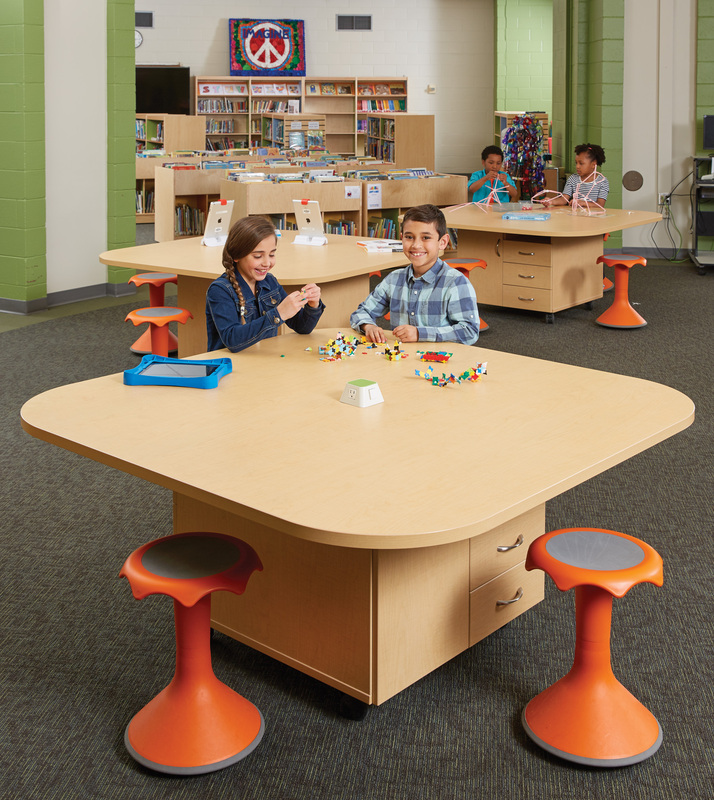 Layouts can include a combination of standing desks or tables, soft seating, stackable seating, or no seating. 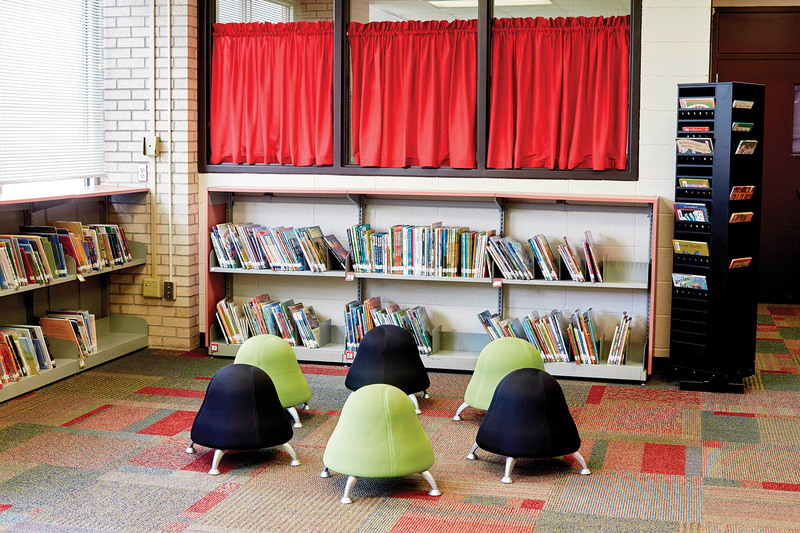 This allows students to self-regulate their comfort during the day and better focus on the tasks at hand. There’s No Better Time to Create an Active Classroom Than Now! 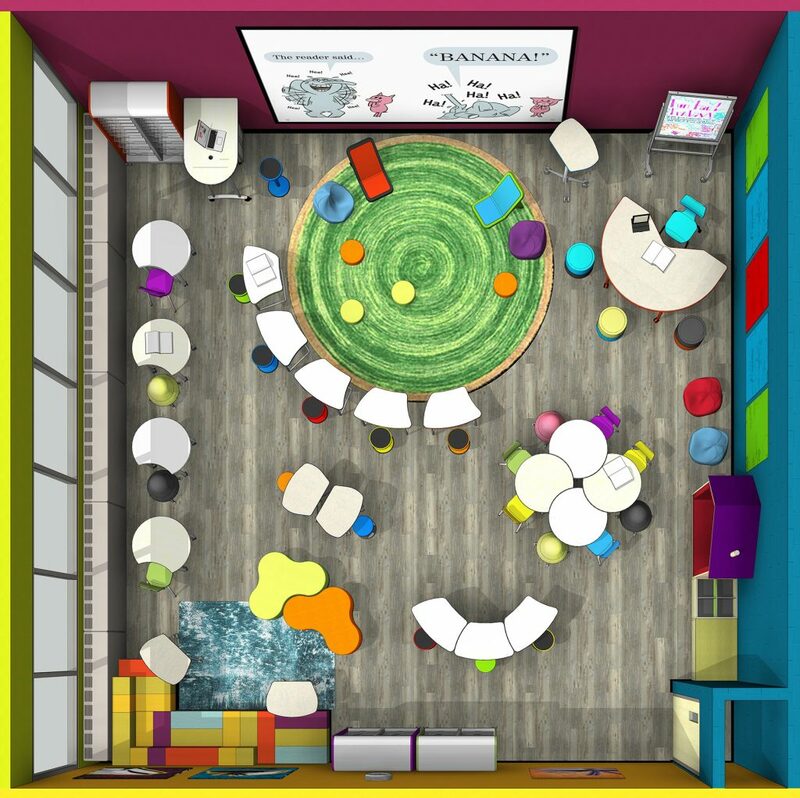 Looking to reinvent your learning space but not sure where to start? Whether your project is large or small, Demco interior services can help you maximize your space. Request a consultation today. What Affect Will These Changes Have on Learning? Students are 20% more likely to earn an A+ in math or English when they have the chance to be physically active. Students’ standardized test scores jumped 6% in just 3 years after physical activity was incorporated into their school day. Following a program that starts the school day for elementary students with 10–20 minutes of teacher-led physical activity, discipline referrals dropped 57%. When elementary school students are led in 10–20 minutes of physical activity at the beginning of each school day, school nurse visits decline 67%. Children lower their insulin levels by 33% when they break up 3 hours of sedentary time with short, moderate-intensity walking. When we transform our libraries and our learning spaces from static spaces to dynamic teaching and gathering places, the learning opportunities, as well as the health benefits, are bound to increase. 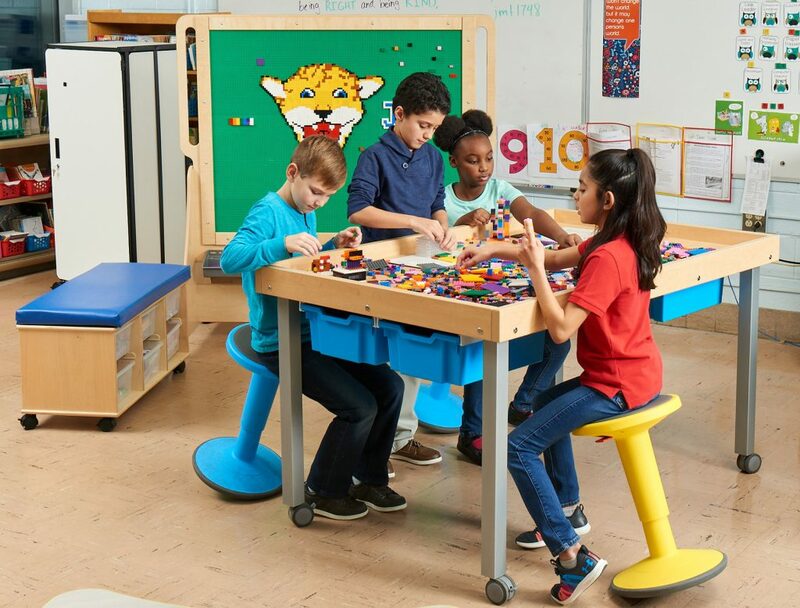 By introducing flexible and active seating and activities, you help prevent poor health later in life and give students the tools they need to maximize their potential. Josh is an experienced, passionate and thoughtful leader in the field of ergonomics, with an emphasis on activity-permissive designs that positively transform the way people learn and work. His design experience spans a variety of environments, including educational, manufacturing, laboratory, office and entertainment settings, as well as warehouse operations. Notable projects include his work with Swiffer WetJet, McDonald’s and Broadway musicals. Josh holds a BSE from the University of Michigan in Industrial Engineering, and he is a Certified Professional Ergonomist (CPE), Certified Industrial Ergonomist (CIE) and a member of the Business and Institutional Furniture Manufacturers Association committees for office seating, lounge and public seating, and educational seating. He is also a noted speaker who has participated in the fast-paced Ignite Talks, ErgoX, Applied Ergonomics Conference and UCLA Ergo Symposiums, and more recently at the 2016 EdSpaces and 2016 Blue Ribbon Schools of Excellence conferences.